Long, full, and voluminous lashes are a sign of beauty, and many people use layers of mascara or strip lashes to try and achieve this look. If you’ve always wanted the beautiful lashes you see on the red carpet, then Eye Candy Lash & Brow Bar is here to help. We offer a variety of services, from waxing to semi-permanent makeup and eyelash extensions. Our goal is to help you achieve the look that you’ve always wanted, and we will work with you to meet your needs. We have three convenient locations in Newport Beach, Lakewood, and Buena Park, so if you’re ready to get the beautiful lashes you’ve always wanted, give us a call and schedule an appointment today! While lash extensions are a great way to improve the look of your natural lashes without spending hours in front of the mirror each morning, it’s important that you give them the proper care and attention they need. In part one of this two-part series, we talked about a couple of mistakes people often make with their eyelash extensions. 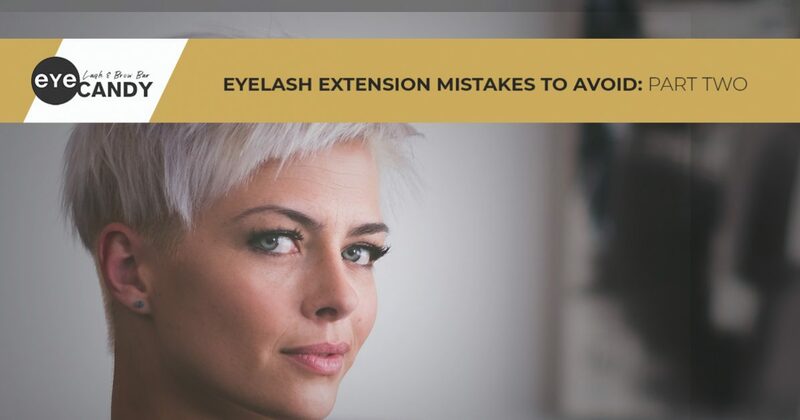 As we continue with part two of our series, we will discuss a few more mistakes you should avoid once you finally receive your lash extensions. One of the biggest selling points for lash extensions is that you go about your normal daily routine without worrying about your mascara running or your lashes falling off. Once your lash extensions have had plenty of time to dry, you can sleep in them, exercise, and even go swimming. However, it’s vital that you give your lashes the necessary time to adhere fully to your normal lashes before you can go about your normal routine. In our previous post, we mentioned that one common mistake is not listening to the instructions laid out by your lash artist, and one of the instructions they will give you is to avoid water for 24 to 48 hours after your lash extensions are applied.  During the process, your lash artist will apply the extensions to your natural lashes using a special adhesive. This adhesive will need time to dry, and exposing your lashes to water, steam, or sweat too soon can cause the adhesive to dry improperly and may even cost you a few lash extensions. With that in mind, if you want your lash extensions to look their best, then it’s a good idea to follow instructions and avoid water until you can be sure that the adhesive is fully dry. You may be under the impression that once you’ve received your lash extensions, you can just leave them and let them do their own thing until it’s time for your relashing appointment. However, there are a few things you will need to do to ensure your lash extensions continuously look their best. For example, as you sleep at night, your lashes may become tangled. Therefore, it’s important that you take the time to gently comb out your lashes in the morning using a special comb. This will help them last longer and look their best day after day. If you have any questions about how to make your lashes last as long as possible, be sure to ask your lash artist during your initial appointment. Getting the beautiful, voluminous lashes that you have always wanted is not difficult thanks to the experts at Eye Candy Lash & Brow Bar! We offer numerous services that are designed to help you look and feel like the very best version of yourself. If you would like to learn more about what we have to offer, contact one of our three locations or view our pricing online, and don’t forget to give us a call to schedule an appointment.